Are you looking to improve your Instagram game? Do not forget to join our four-week Instagram Challenge. So, what do you need to know about Instagram hashtags and how to best leverage them for your own account? Let’s dive into the details. After the shadowbanning frenzy of 2017, (which was quickly busted in 2018) hashtags are back in business full swing, and that’s what you need to know. You’ll see relevant hashtags displayed in your search results along with related accounts. When you find a hashtag you like, open the hashtag page and tap on the “follow” button. You’ll begin seeing top posts from that hashtag in your feed and some of the latest stories in your stories bar. This is a great way to tailor your ‘explore’ functionality a bit more, and allow you to engage with different users and get out there more. We would recommend you to follow only 2/3 hashtags at a time. 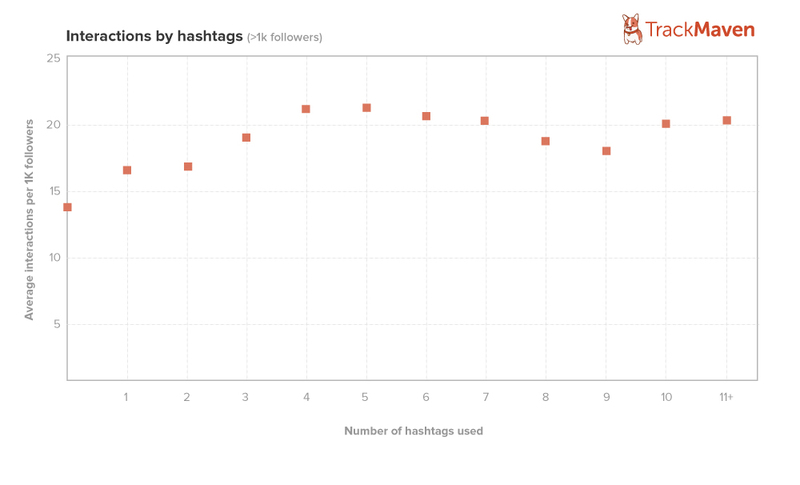 Posts that use hashtags get far more engagement (there’s also a study backing us up on that, we are talking 12.6% more engagement). Brands you love: brands you worked with, or brands you think have very similar content to the one you promote yourself. It’s essential to make your hashtag quite recognisable, and new. Make sure nobody else is using it already. If you’d like to learn more about social media marketing why not join the HBC Membership and gain access to hundreds of resources to boost your brand and take your content to the next level.